As a start in redressing the nation's most notorious political prosecution, the Supreme Court released on June 29 its decision vacating federal corruption convictions of former Alabama Gov. Don Siegelman and co-defendant businessman Richard Scrushy. The court remanded their Alabama convictions to the Eleventh Circuit U.S. Court of Appeals in Atlanta despite arguments last November by Solicitor General Elena Kagan that their convictions should stand. Ironically, the court met to decide the case Monday afternoon, which marked also the beginning of Kagan's Senate confirmation hearing to replace Justice John Paul Stevens, a Republican who became the court's most influential liberal of recent years. In several exclusives published on The Huffington Post the past 13 months, I've shown the shocking conduct of federal prosecutors and the trial judge in framing Siegelman and Scrushy, the former CEO of HealthSouth Corp. 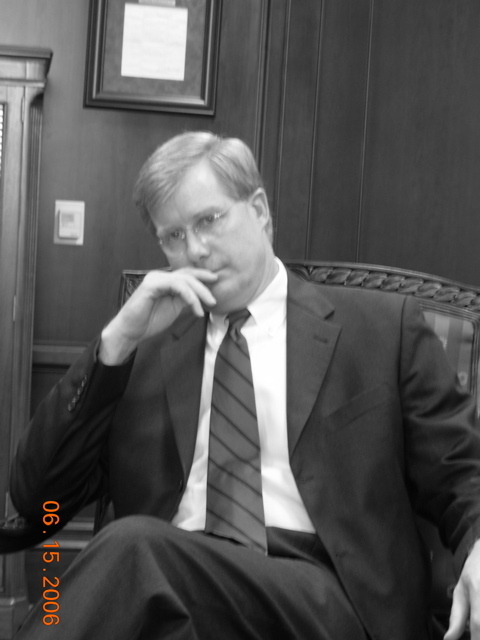 The articles, here and here, for example, showed how Alabama Middle District Chief U.S. District Judge Mark Fuller allowed wholesale misconduct by prosecutors against his longtime enemy Siegelman while the judge was also being enriched by some $300 million in federal contracts since 2006 for Doss Aviation, Inc., which he controlled as its largest stockholder. "The Supreme Court's action is not only important to Governor Siegelman, but also to anyone who runs for public office and for anyone who makes a campaign contribution," his counsel Peter Sissman wrote me this afternoon in assessing the significance. "If what Governor Siegelman is alleged to have done is a crime, then anyone who donates money to a presidential candidate, and who is later appointed to be an ambassador, can be charged with a felony at the whim of a politically motivated prosecutor." The Supreme Court's sparsely worded grant of certiorari today does not allude to that dark history. The court simply referenced its decisions last week in other cases holding that a federal crime of failing to render honest services can violate constitutional protections by being too vague. But the broader story of Alabama injustice is much on the minds of supporters who have followed the defendants' ordeals for many years through investigative reports in Alabama and elsewhere. The best known was broadcast by CBS 60 Minutes in 2008. Two Republicans described why the defendants were framed. Also, Nick Bailey, a former Siegelman aide who was the prosecution's top witness, revealed that he was coached by prosecutors up to 70 times before trial, with few of the sessions disclosed to the defense. The Justice Integrity Project, my bipartisan group researching this and similar federal misconduct across the nation, yesterday opposed the Kagan nomination to the Court, in part because of her now-failed argument against the Alabama defendants. Earlier, an unprecedented coalition of 91 former state attorneys general from more than 40 states had filed a friend-of-the-court brief countering Kagan's arguments. The former chief law enforcers said, in essence, that it wasn't a crime for Siegelman to reappoint the wealthy Scrushy to a state board after Scrushy donated to the non-profit Alabama Education Association in 1999 at Siegelman's request. At the time that he was indicted, Governor Siegelman was a candidate for governor in the Alabama Democratic primary. It was expected that he would win the primary and go on to defeat his Republican opponent. According to some reports, Karl Rove stepped in and orchestrated the prosecution. If true, it would be a prime example of using the law to eliminate a political rival. Governor Siegelman did not personally benefit from the donation. The contribution was to a foundation whose purpose was to permit a lottery in Alabama to raise funds to be used for education. Rove, Fuller and the justice department have consistently denied wrongdoing in the case, which received relatively little national publicity until June 2007. Jill Simpson, a Republican attorney from northern Alabama, stepped forward shortly before sentencing that month to file a sworn statement suggesting the defendants had been framed. But Fuller proceeded to impose seven-year terms on both defendants. Fuller ordered them to begin serving their terms immediately, without the appeal bonds customarily granted white-collar defendants. The defendants were taken directly from court in chains in front of TV cameras to prison. Weeping relatives were unable to say goodbye. Authorities initially put Siegelman in solitary confinement, preventing any contact with family, supporters or the news media. The former governor was ordered freed on bond by an all-Democratic appeals court panel in March 2008 after national concern ramped up from the CBS broadcast and other reports, along with petitions by former state law enforcers. Scrushy, a Republican and father of nine, has remained in prison, saying he was swept up in a political plot to use the justice system against the former governor. Scrushy's criminal convictions are entirely because he donated to the education foundation. Meanwhile, HealthSouth's collapse amid claims of financial fraud have resulted in a $2.8 billion civil fraud judgment against Scrushy and seizure of his assets. The Obama administration has puzzled many of its Democratic supporters by seeking 20 additional years in prison last June for Siegelman and retaining the Middle District U.S. Attorney Leura Canary, a Bush-appointed Republican who took office in 2001. Federal authorities continue also to fight longstanding federal freedom of information act requests by Scrushy seeking DOJ documents on whether Canary actually recused herself from supervising the case, as she's claimed. Her husband, William Canary, was campaign manager for Siegelman's opponent, Republican Gov. Bob Riley, and a longtime friend and political ally of Rove. DOJ last year fired a paralegal who says Leura Canary remained heavily involved in the prosecution. More generally, DOJ still hasn't completed its nationwide investigation under Connecticut federal prosecutor Nora Dannehy of political prosecutions. DOJ reluctantly initiated the probe under congressional pressure because of the uproar over the Bush administration's 2006 purge of nine U.S. attorneys for political reasons. Congressional investigation later showed that a DOJ chief of staff had written the White House that it needed "loyal Bushies" in prosecution posts, not simply Republicans. Siegelman and Scrushy now return to a Republican-majority appeals court that, for the most part, has decided previous rulings in their case largely along party lines. Siegelman and Scrushy have become increasingly outspoken in their complaints about injustice. Siegelman filed on June 28 a blistering 34-page Second Motion for Recusal based on new information last month that their trial judge improperly met with postal inspectors to discuss claims that jurors were communicating illegally during the trial. And a year ago this month, both defendants filed extensive affidavits suggesting additional prosecution misconduct, including secret blackmail of their chief witness Bailey with threatened exposure of his sexual partners. This photo of Judge Fuller was taken in 2006 just after the Siegelman jury gave its guilty verdicts. Photographer Phil Fleming helped commemorate the occasion at the judge's request. The Republican judge has denied any wrongdoing in his filings. In response to my request for comment, he wrote that judicial rules prevent him from commenting to me or others in the media. This year, he responded to defendants long-pending requests for his recusal by asking that another federal judge examine whether there is any reason for him to withdraw. The Justice Department has long maintained that not one reasonable, independent person in the United States would think Fuller needs to recuse himself under the legal standard requiring withdrawal to avoid the appearance of impropriety. I'm among the many commentators who have suggested potential reasons why the Obama administration has insisted on fighting so hard to uphold the positions of those involved in such a notorious prosecution. But no one can know for certain short of a full, independent investigation calling all relevant witnesses under oath. One factor is doubtless the inevitable institutional loyalties of a crime-fighting organization such as DOJ, whatever its traditional mantra that it promotes justice, not winning. Books have been written on this general theme: DOJ prosecutors and agents don't like to lose. The Obama administration has added further protections to DOJ decision-making by arguing in another case this year that prosecutors shouldn't be held liable even if proven to have intentionally framed suspects. Some of us have reported that Artur Davis, Alabama's senior Democratic congressman and an Obama friend, wanted to obtain business support during his just-failed campaign for governor from William Canary, head of the powerful Business Council of Alabama. But any such help didn't prevent Davis from being upset by a nearly 2-1 margin in Alabama's Democratic primary June 1. Huffington Post readers read that this was in part because some Alabama Democrats were furious with Davis for abandoning Siegelman and not pushing harder to replace Leura Canary with a Democrat, as traditional in the United States after a change of presidential administrations. Canary, below, remains in office as arguably the nation's most controversial federal prosecutor in decades. Neither political party has much stomach to poke into the web of military and financial relations that some of us have reported as key factors prompting the prosecution. The judge's company Doss Aviation, for example, has a remarkably important role in training Air Force pilots and refueling Air Force planes. As amplified in my group's statement against the Kagan nomination yesterday, there's far more to that part of the story than most want to explore publicly, especially in wartime and especially given the business relationships involved. Whatever the background, the Supreme Court's decision today creates a new legal environment. For the first time, the defendants have momentum from a major court victory along with facts gleaned from particularly courageous whistleblowers and reporters. [T]oday's Supreme Court finding is, in a sense, a smokescreen. It might lead to long-delayed justice for victims of political prosecutions. But it does not address the real problem -- that corrupt federal prosecutors and judges caused this grave injustice to happen. Cross-posted at the Justice Integrity Project with additional documents.